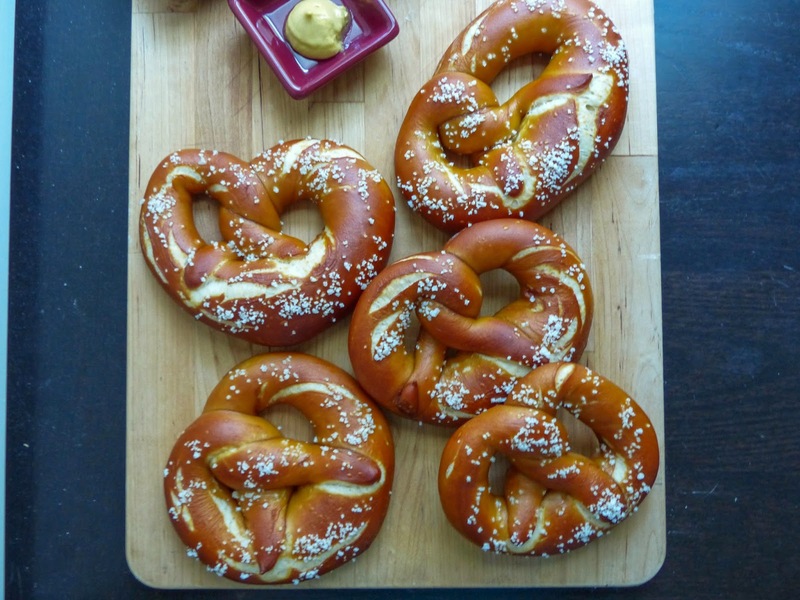 I am obsessed with pretzels. A few months ago, I was in Frankfurt, and they are everywhere! Even in the airport, every coffee or deli stand has freshly baked brezen. I could eat one every day! I've tried baking them myself at home a few times, with mixed results. 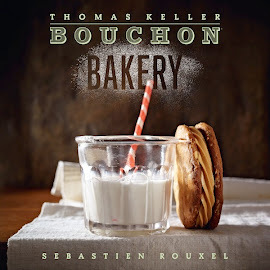 So I was anxiously waiting this recipe to see the Bouchon version of my favorite snack. The dough was simple enough, like most bread doughs we've made so far, but with a still levain that you make the night before. Rolling and twisting the pretzels was fun and easy, like playing with play-doh when I was a kid. I could have used more counter space, but that's nothing new at this point. After resting in the fridge, it was time for the lye dip. 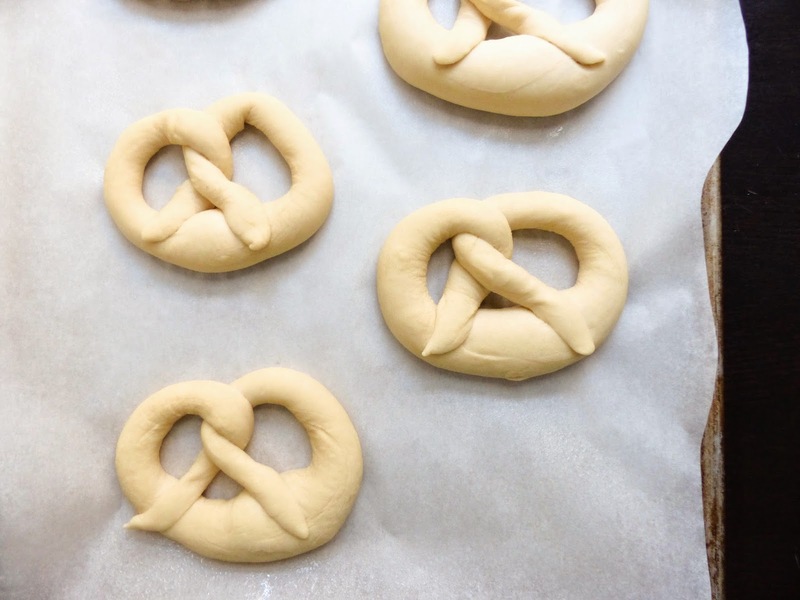 This part of the process scared me, and even though I've made pretzels before, I've never used this method. I bought the lye online and mixed it with water, wearing protective gloves and long sleeves, to prevent splashes. It turned out to be easier than I anticipated, dipping the pretzels and turning them over, then draining on the perforated baking sheets. Another thing: I didn't want to buy yet another piece of equipment so close to the end of this project, so I bought disposable aluminum cookie sheets and poked holes in them. Worked great! After baking, they came out so brown and beautiful! I left them in the oven about 2 minutes longer to ensure a nice dark exterior. The fleur de sel on top added a nice texture contrast. 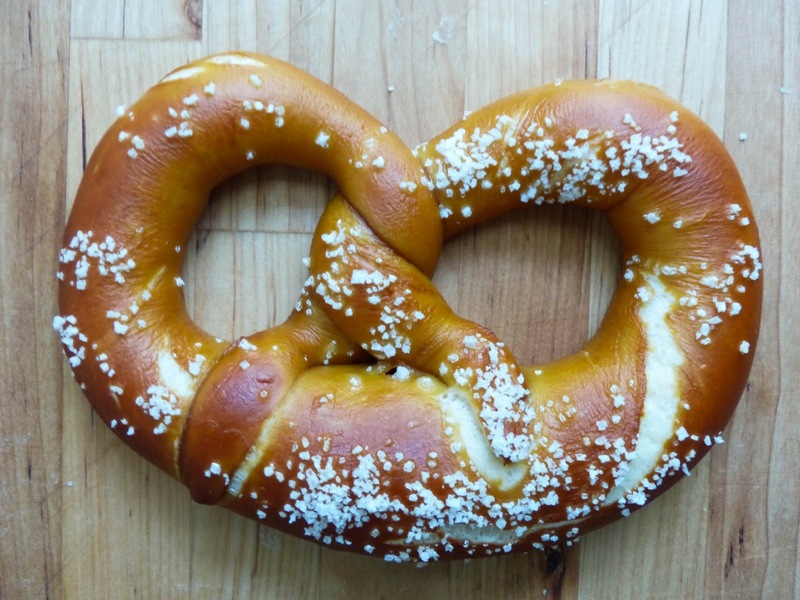 I only let these cool slightly, as there's nothing more irresistible as a warm pretzel. 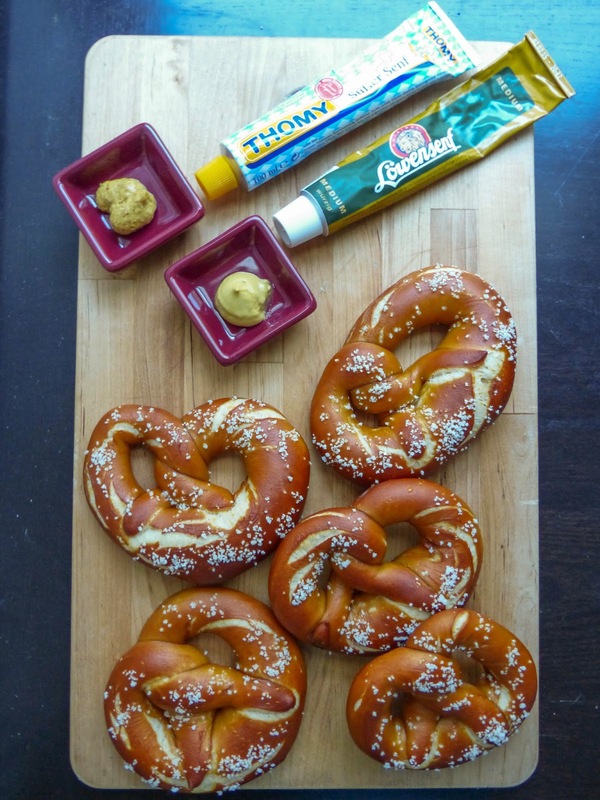 We brought back some mustards from Germany, one sweet and one medium. Let me tell you, those Germans don't mess around with their mustard. The medium one had quite a kick to it! 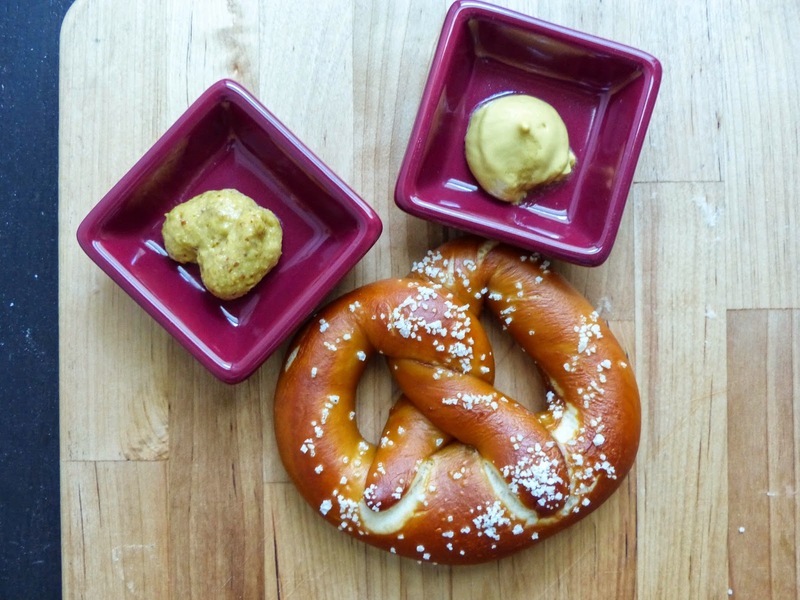 The perfect accompaniment to the warm, soft, salty pretzel. That, and a pint of pilsner. I'll definitely make these again, but maybe for a party next time. 10 pretzels are too many for even me to polish off in a day. Update: I put the leftover pretzels in an airtight container overnight, and the next day they were starting to get really soft. It's weird how the outside gets softer but the inside gets staler. Also, the salt began to melt into the dough, leaving bumps all over the outside. So definitely eat these immediately, they are not as good the next day.